Diffusing essential oils is much safer and healthier than lighting candles or melting synthetic fragrance tarts. 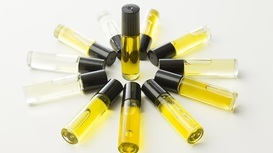 Rollerball blend recipes using 100% pure essential oils along with a high-quality carrier oil. Flavor your food using essential oils.